Whether you’re attempting the celery juice challenge or just want to increase your overall health, drinking celery juice from a good quality juicer is the quickest way for your body to absorb the nutrients that celery juice provides. I always start my morning off with a glass of celery juice from my juicer (although it’s becoming harder to find!). The health benefits are just out of this world and I believe it makes me feel better throughout the day. My energy levels are greater and my joints feel better than ever. Below are some of the best juicers for celery that I’ve found to work well and provide an end product that’s easy to drink. At first I was skeptical of drinking celery juice since celery just doesn’t strike me as a vegetable that would be packed with nutrients. Once I looked closer though, I realized that celery may be one of the most beneficial vegetables you can juice. Celery is full of antioxidants as well as loaded with vitamins such as vitamin B6, vitamin C, potassium, vitamin K, and folate. I started to put celery in my juicer every morning and haven’t looked back since. Champion G5-PG710 Juicer (click to check the current price on Amazon) – Champion has been making juicers for over 20 years and all that experience has made the G5-PG710 model the best juicer I’ve ever used. It makes quick work of just about everything I put in it, especially celery, and it’s easy to clean as well. 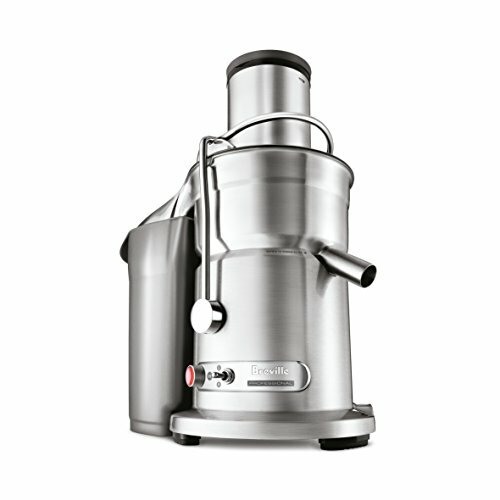 If you are really serious about juicing celery, a quality commercial juicer like this one from Champion is a must. This is my top pick. Breville 800JEXL Juicer (click to check the current price on Amazon) – Breville is similar to Champion in that every juicer I’ve used from them has been nothing but high quality. 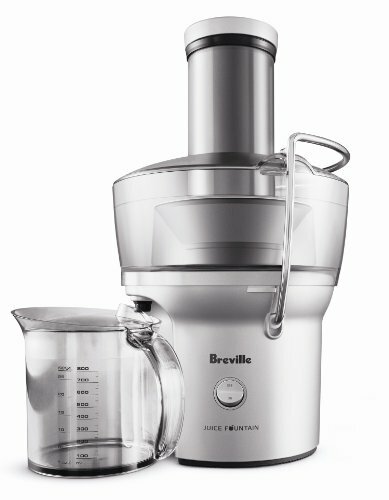 The 800 Model is Breville’s top of the line juicer that is both heavy duty and commercial grade. It can make 1.1 Quart of juice as fast as you can feed it. Breville BJE200XL Compact Juicer (click to check the current price on Amazon) – Compact juicers like the Breville 200XL make great introductory juicers because they are affordable, take up less space, and are perfect for casual use. If you’re hesitant about how much juicing you may be doing, this is the juicer to try out. This is your budget option. When you sit down and compare the Champion G5-PG710 to the Breville 800JEXL and Breville BJE200XL, the differences are noticeable. The Champion G5-PG710 Juicer is commercial grade. It will stand up to daily use and can make large quantities of celery juice at one time. 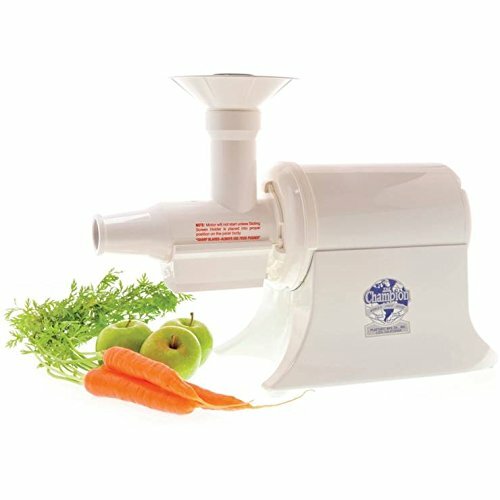 The G5-PG710 Juicer has a wide feed mouth that accepts large amounts of celery at one time. It doesn’t bog down like the Breville juicers tend to do. The Champion G5-PG710 uses a floating cutter that quietly separates the celery juice from the pump in one fluid motion. The Champion G5-PG710 Juicer weighs 20 pounds which stays in place during juicing and provides a rock solid platform. The G5-PG710 juicer is equipped with a stainless steel shaft and inner workings that are easy to clean and resists corrosion. The Champion G5-PG710 Juicer is compact enough to be placed on a kitchen counter without taking up a lot of space. Its overall dimensions are 21 x 8 x 11 inches. The G5-PG710 Juicer runs cooler than any other juicer I’ve tried. I can run it longer and not have to worry about the motor overheating due to the ball bearing system. Here is a great clip of what you can expect to achieve with a good juicer for celery. Ease of Use. If you’re going to be juicing celery each morning, you want a juicer that won’t be a hassle to use. An easy repetitious process will encourage you to use the juicer even more. Sturdy design. Feeding celery into the juicer should be done on a stable platform and a juicer with a sturdy design helps ensure that it can be done stately and efficiently. Loud juicers are annoying to use and if it’s loud enough you may give up altogether. If you’re making celery juice in the morning, a quiet juicer is a must to not wake everyone else up. Easy to Clean. Juicers that are self-contained and easy to clean not only make it easier on you, but provide a healthier and cleaner end product. Complete pulp separation. Lesser juicers have a hard time separating the pulp from the juice. Purchasing a quality juicer will ensure that celery pulp doesn’t end up in your glass of juice. Commercial Grade. Juicing celery on a regular basis demands a commercial grade juicer. Commercial grade juicers are designed for long term and heavy use. Budget vs. Quality. Budget options for juicing celery won’t last as long and will be more difficult to make large quantities of juice. If you’re serious about juicing celery, get a mid-tier juicer at the very least since the quality will be higher and not give you a reason to stop getting the nutrients from celery juice each day. Is celery juice good for you? YES!!! Celery juice is packed with antioxidants and several key nutrients. Drinking celery juice is better than eating it since the liquid has a better rate of absorption. Developing a routine of drinking celery juice every day can have some key benefits to increasing long term health and wellness. Antioxidants – Antioxidants decrease the amount of oxidation that occurs in your body. Oxidation can cause cell damage. Drinking celery juice on a regular basis may help improve overall cell health. Folate – Folate is a B-vitamin that is the basic building block to how the body works. It helps make red and white blood cells in bone marrow and is extremely important during periods of rapid growth such as pregnancy, infancy, and adolescence. Vitamins – Celery juice is packed with vitamin B6, vitamin C, potassium, and vitamin K. These vitamins are essential for everyday well-being and cognitive health. If you’re not already drinking celery juice, you really should start. The health benefits alone are just outstanding for such a readily available vegetable. Rather than pay high prices for premade drinks or supplements, making your own celery juice is as simple as it gets. Adding just one glass of celery juice into your diet each day can help supplement a nutrient deficient diet. Celery juices are rich in antioxidants which help to prevent oxidization of cells in the body. Left unchecked, free radicals can accumulate and cause cell damage. Celery juice helps prevent free radicals from forming. Folate is another health benefit of celery juice and it’s actually a B-Vitamin. It’s responsible for new blood cell creation in bone marrow and white blood cells that fight disease. Folate is recommended for pregnancy as it aids in growth development of infants and adolescents. In addition to Folate, celery juice is packed with vitamin B6, vitamin C, potassium, and vitamin K. It really is amazing that celery can provide such a wide range of health benefits. Juicing celery is rather easy and with the right juicer can be a daily routine that allows you to get the nutrients you need naturally. What does celery juice taste like? Celery juice tastes like CELERY!!! Seriously, it tastes exactly the same as eating it. A typical head of celery will allow me to get around 12 ounces of juice. Celery is a fibrous vegetable that holds a lot of water so it makes the perfect fit for juicing. Celery is also cheap and it’s not uncommon to find it for less than $1 for a full head. This makes it economical for having a glass each day to really take advantage of the health benefits. The best way to juice celery is to feed each stalk individually so the juicer can reduce the pulp completely. I’ve found this method to work best rather than stuffing as much celery as you can all at once. Purchasing a quality celery juicer like the Champion G5-PG710 Juicer is the best investment you can make if you’re serious about the celery juice challenge or just want to start a daily routine of drinking celery juice. Just a quick glance at the potential health benefits was all it took for me to start juicing celery every day.